“Batteries are a little bit like bacon. Everything is better with batteries,” quipped Michelle Taylor of Queensland utility Ergon Energy at session on energy storage at Clean Energy Week in Brisbane. “There’s no doubt that storage linked with the appropriate interface mechanism presents fantastic opportunities for the customer and utility,” the utility’s technology development manager added more formally. Yet in Ergon’s home state of Queensland, grid-connected batteries supporting solar PV are currently unavailable to residential customers. 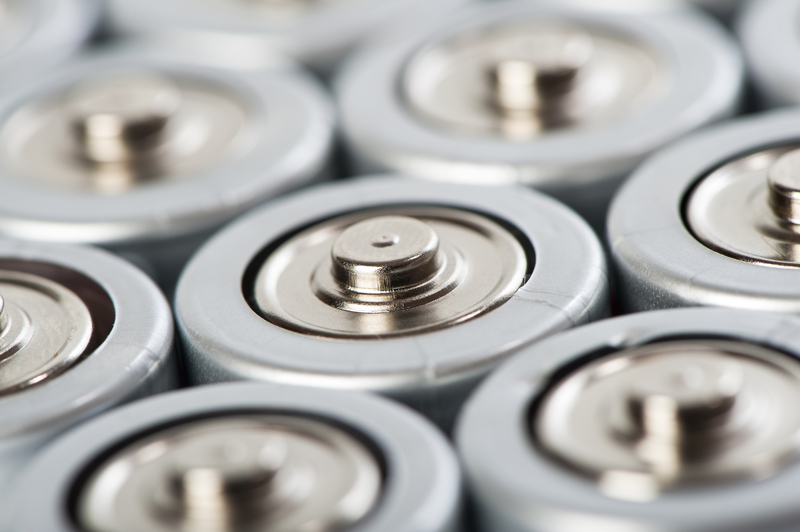 With opportunities under review by both Ergon and its state-owned counterpart Energex, storage proponents are concerned that energy storage will end up down the same bumpy road travelled precariously by residential solar PV over the several years. “Utilities were caught by surprise by the uptake of PV. This time, with storage we need to have them involved,” said Bruce Leslie, R&D manager and director at Brisbane-based LC Energy. “Government subsidies are very important if we are to have a viable system, and we need the support of the utilities and generators,” he added. A residential peak demand tariff would make grid-connected home batteries an economic proposition. But the Energex view of PV is very different; after all it lost 14 per cent of the energy distributed for the same peak demand. The Queensland-owned utility received 14% less income for no change in costs. Ergon’s Taylor admits many challenges stand in the way of efficient electricity network management. “We have a vast network as a distribution company and while the whole system-load may look one way, the various distribution networks may look very different,” she says, noting Ergon is one of the most dispersed distribution companies in the country with about 130,000 km of line and 65,000 km serving only 25,000 customers – equivalent to one customer every 3km. Although the cost of storage is falling quickly, uptake of energy storage by the distributors is severely hampered by outdated policies and regulations, which Taylor expects to disperse with some of the new policy directives issued by the state government. Ergon is looking at ways of integrating renewable energy onto its square networks. “Renewables are great, but if you put renewables onto square alignments, it’s a disaster…. just plonking renewables doesn’t do a thing for us, in fact it causes a lot of problems for us. Ecoult, a company spun out of the CSIRO and now owned by the US’s East Penn Manufacturing, has developed energy storage solutions which are suited to isolated grids. The company also offers a fix for power companies wanting to implement the integration of gas or diesel with renewables. “You can pay for the storage [cost] from what you gain by running the diesel in a fuel-efficient zone rather than not running it in a fuel efficient zone. And the storage is to take care of the renewable variability,” said John Wood, CEO of energy storage company Ecoult. Ecoult’s Ultrabattery is a completely new class of lead-acid technology, the company claims. It’s a hybrid, long-life lead-acid energy storage device containing both an Ultracapacitor and a lead-acid battery in a common electrolyte. The company is approaching potential customers both in Australia and abroad. “The good thing in Australia is you have the chance to mature the technologies here and supply them to the international business model,” Wood said. Ecoult will supply the largest battery-based renewable energy storage system in Australia to Hydro Tasmania’s King Island Renewable Energy Project. The 3 MW/1.6 MWh UltraBattery storage system – to be installed later this year – will complement other elements of Hydro Tasmania’s project, which in recent weeks has managed to switch off diesel generators for up to 90 minutes, relying solely on wind power. The King Island project came in the wake of Ecoult’s success at ‘smoothing wind’ in Hampton, where is implemented a MW scale wind power storage system using UltraBattery. It demonstrated the ability to smooth turbine’s output (turbine plus battery – orange line) using an algorithm developed by the CSIRO. Wood went on to explain the Ultrabattery’s application in solar PV smoothing and firming at Public Service Co. of New Mexico’s (PNM) Prosperity Project, located south of Albuquerque. The project integrates an advanced VRLA (Valve-Regulated Lead-Acid) and UltraBattery energy storage solution with a separately installed 500KW solar plant. Few standalone opportunities for large-scale grid-connected energy storage systems exist without government incentives. In the US, where Ecoult launched the Pennsylvania-Jersey-Maryland Interconnection Regulation Services project, the government awarded grants to get storage projects up quickly. Subsequently, government support turned to regulation and will eventually move further towards tax credits. “There’s a lot of federal support in the US and state support in California through regulation. All of that means you can do storage and have standalone economic justification,” Wood said. In a challenging market such as Australia, it is up to technology developers to prove their mettle, Wood believes. “If you are representing the capabilities of a technology it is really up to you to demonstrate to the market the viability and purpose and really push your case. LC Energy’s Bruce Leslie has taken this path, producing a study that compares ‘energy shifting’ with ‘peak shaving’ applications for a typical moderate-to-high energy-use house. He found that the peak-shaving application uses less energy from the battery, while that batter doesn’t cycle as deeply. The peak-shaving application is set up to monitor the grid power. Whenever the grid exceeds a set point, power is taken from the batteries. If Energex and Ergon introduce an optional residential peak demand tariff households have an incentive to switch to a peak-shaving application. “We can shave a lot off the peak with a relatively small mount of storage. In fact, as we add storage we actually get diminishing returns, give the costs to the system is the mount of storage,” Leslie said. “I think we can move to a peak-shaving scenario on a reasonable peak demand residential tariff,” he added. Utilities and governments must get in front of the curve and set standards that will drive desired behaviours, Leslie said. Talking to Renew Economy, Leslie warns Ergon and Energex are perhaps a year or two away from a flood of cheap batteries and cheap systems coming into the country that will take them out of the driving seat.